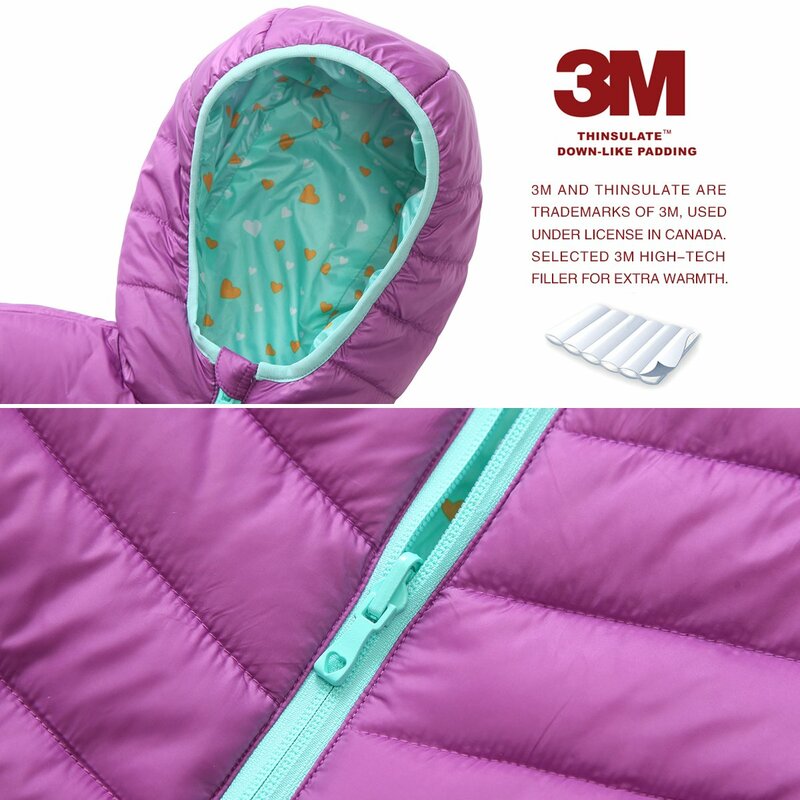 Rokka&Rolla Guarantees 100% quality certified brand new Lightweight Reversible Water Resistant Hooded Quilted Poly Padded Puffer Jacket with original brand tag and THINSULATE 3M high-tech filler certification tag under license in Canada. 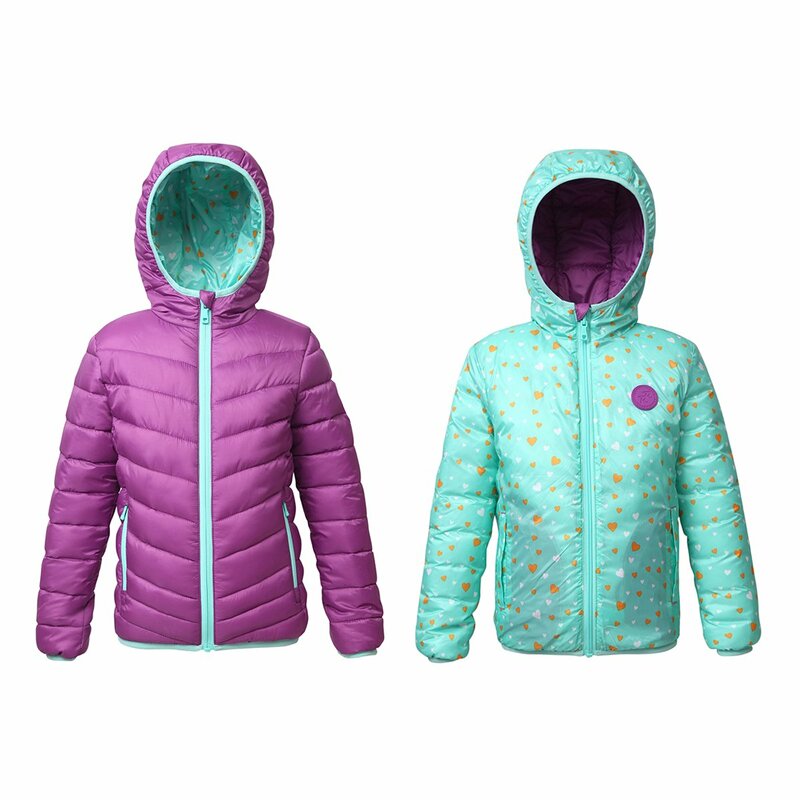 We offer 4 different colors for kids’ style now. 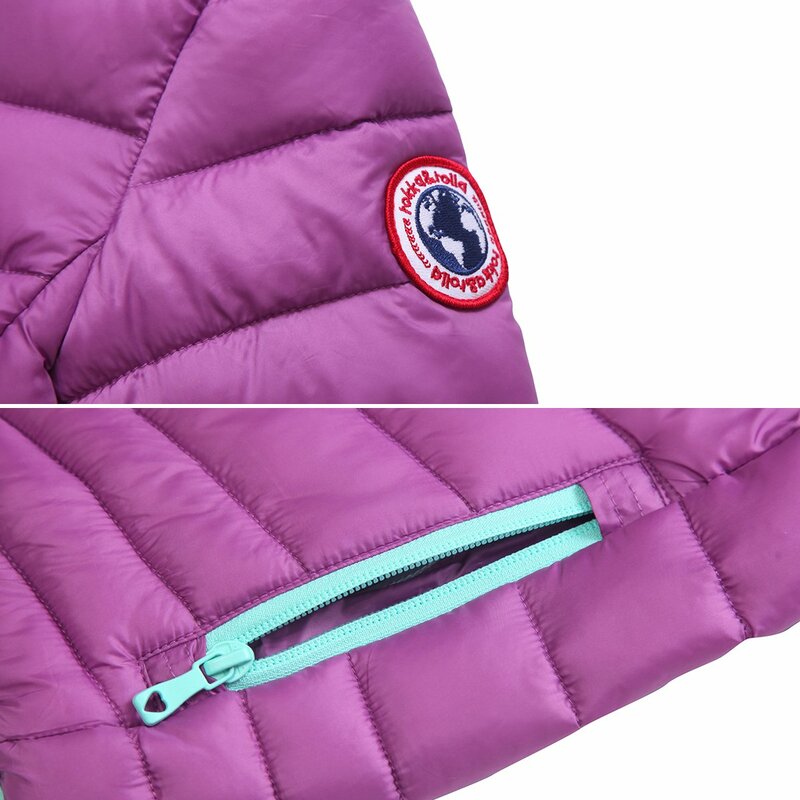 The Lightweight Reversible Water Resistant Hooded Quilted Poly Padded Puffer Jacket has the best quality fully reversible fabric shell and lining with water resistant finishing and high density synthetic & finer yarns to achieve super soft hand feeling. 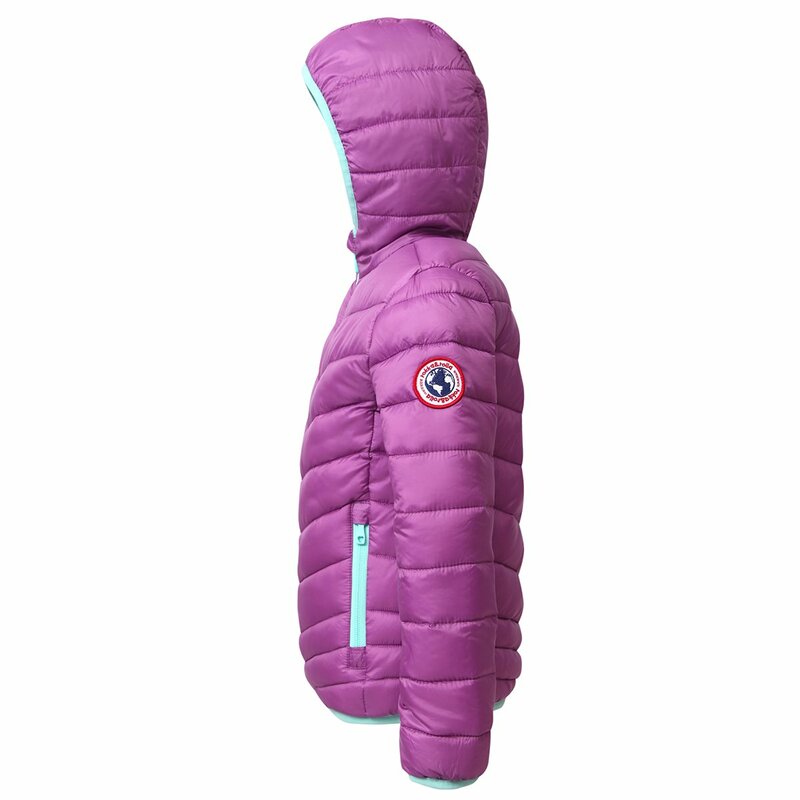 This hooded lightweight insulated bubble jacket is designed with elastic band on hood, cuffs and hem to keep warmth and to prevent wind and rain, fully reversible zipper puller with chin zipper guard for more protection and ease of wearing, name card inside the left pocket can help to prevent from losing at school or other places, and additional inner pockets on reversible lining for more convenience. Rokka&Rolla commit ourselves to provide the best quality customer service and shipping service. 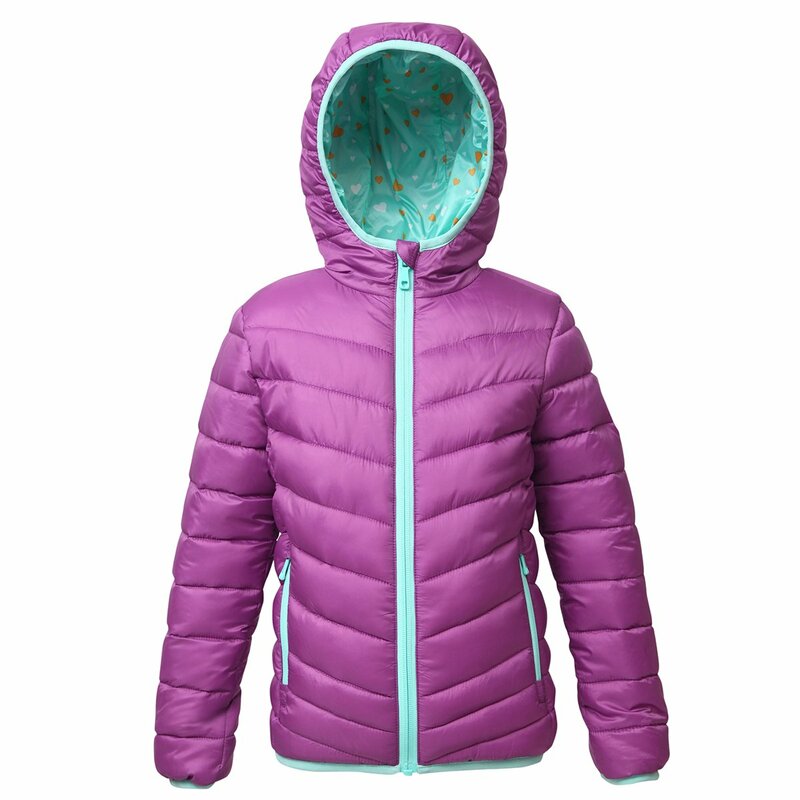 Attention: Our Size is regular fit U.S. size. 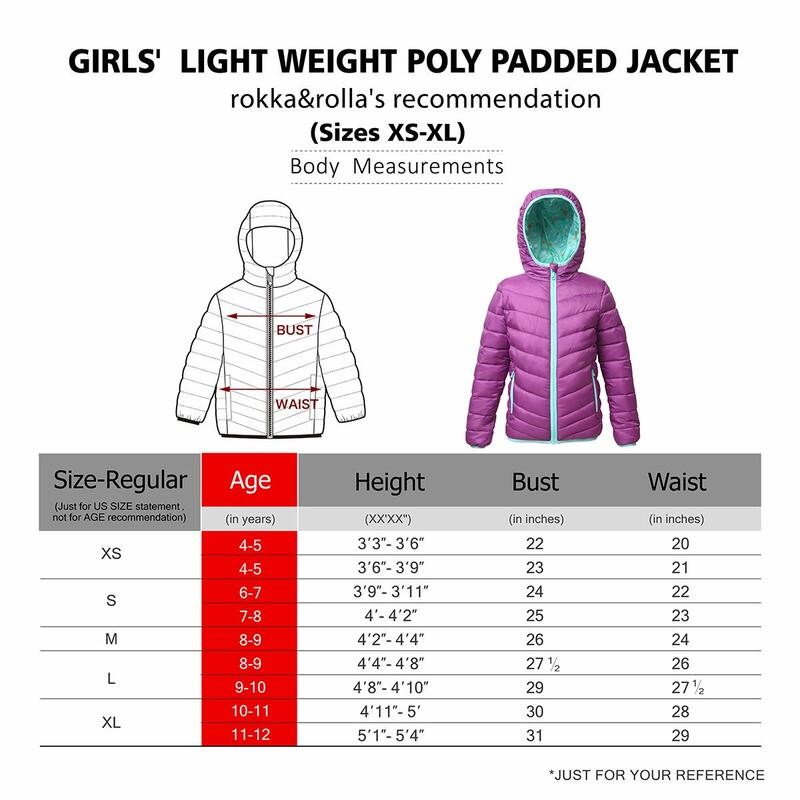 Please kindly read our size chart with our recommendation for your reference. 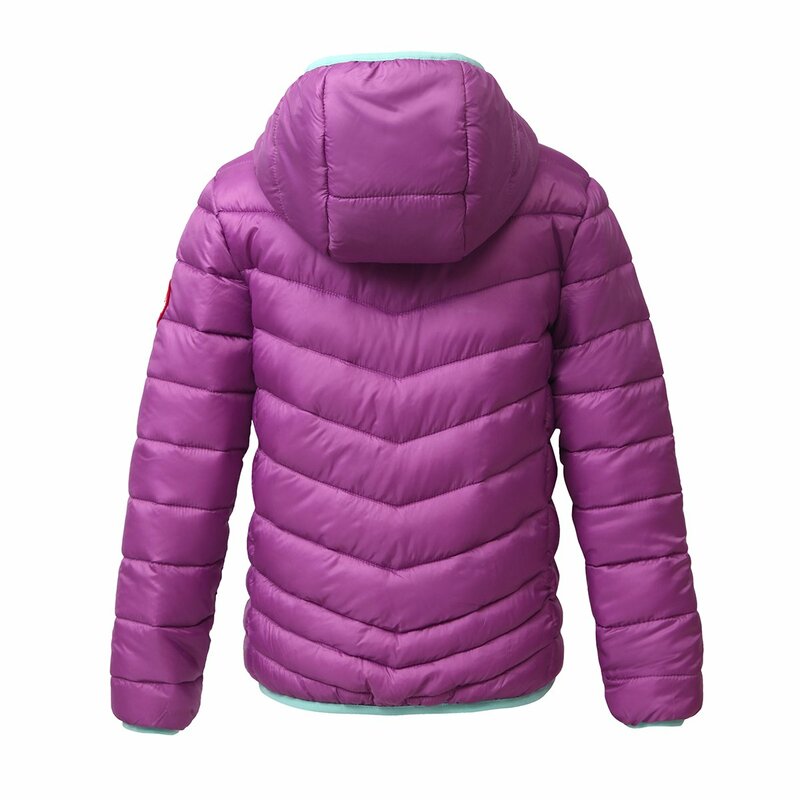 Care Instructions: Machine washable with cold gentle cycle/Bleach when needed/Do not Tumble Dry/Do not dry clean/Wash similar colors together. Please feel free to contact us if you have any related question.